Just Romantic Suspense: Do you prefer urban or rural? Familiar or exotic? Do you prefer urban or rural? Familiar or exotic? Does the setting of a novel influence your decision on whether to read it or not, or how much you enjoy it? Are you drawn to steamy, lazy Southern suspense, where the magnolia blossoms hide the maggots of murder? Or do you prefer the angst and anxiety of an urban mystery, where the seamy side of the city is a character all on its own? The inestimable Nora Roberts has written novels set in such widely different locations as Alaska and Ireland, Antietam, MD and the Black Hills of South Dakota. While many of those stories are set in small towns and villages, her JD Robb novels are set in a futuristic New York. That's an eclectic collection! Then there's Robert B. Parker, whose private detective, Spenser, operates mainly in Boston, and Rex Stout's Nero Wolfe, who rarely leaves his home. The decision on where a story takes place will greatly affect what an author can and can't do with the plot, as well as the mood of the story. 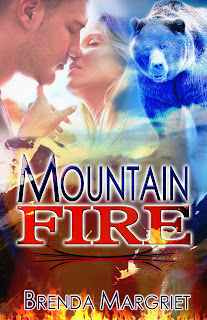 An old writing adage is “write what you know.” Now, that was certainly a factor for me in deciding to locate my romantic suspense, MOUNTAIN FIRE, in my home town of Prince George, British Columbia and the surrounding area. It was scary enough attempting to write a novel without the added worry of writing about a place I didn't know intimately. Local readers have expressed appreciation of the fact they've walked the same streets and climbed the same mountains as my characters, Alex and June. Personally, I don't let the setting limit which books I read. But after traveling to New York City and London, England in the last few years, I have a completely different sense of those locations, and that certainly influences my perceptions when I read a novel set in those cities. How about you? Do you prefer urban or rural? Familiar or exotic? I'd love to hear your thoughts. 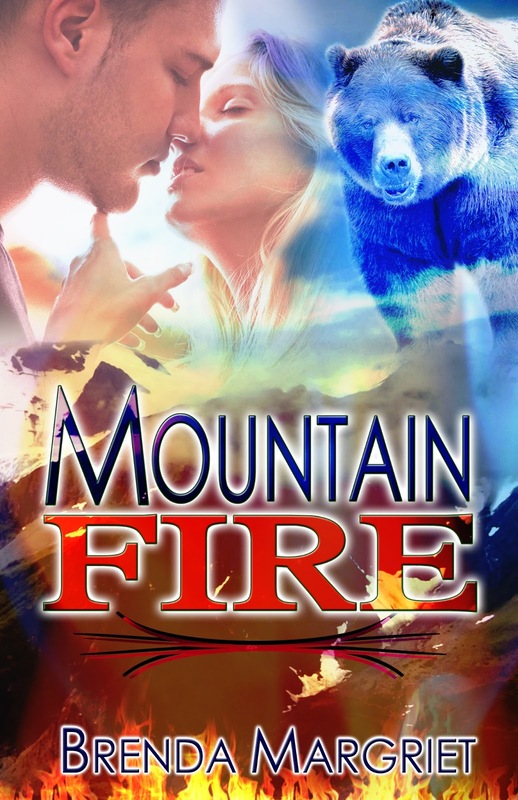 I am thrilled to announce my debut romantic suspense, MOUNTAIN FIRE, is now available from The Wild Rose Press. A mountaintop mystery leads two conservationists to dangerous obsessions and violent passions. Natural resources student June Brandt climbs Longworth Mountain for some alone time. But when Conservation Officer Alex Weaver arrives to look into the death of a grizzly bear, June is caught up in the investigation--and fascinated by Alex. Alex is attracted by June's competence and coolness under fire--as well as her lithe body and honey-blonde hair. Although their mutual interest in protecting the natural wonders of the area brings them together, they soon realize they view love from very different angles. He offers passion and pleasure, but June wants more. When one of Alex's colleagues is murdered, June and Alex must work together to find the poacher before other lives are lost. And Alex must look deep inside to discover if he can give June what she deserves. Brenda's love of books began as a child. She ran into the living room holding "Old Hat, New Hat", tripped and smashed into the corner of the coffee table. The book sustained a deep gouge in its cover, and Brenda has never forgotten its sacrifice. As a teenager, she saved babysitting money to buy a typewriter. It had an electric keyboard with manual return, and cost more than $300. She clacked away at that for hours. Her first finished novel was still decades away, even though many others died on the page in the intervening years. It wasn't until her husband bought her her very own laptop for Christmas 2010 that she managed to type "The End" on what would eventually be MOUNTAIN FIRE. Brenda lives in Northern British Columbia with her husband, three children (all of whom are taller than her) and various finny and furry pets. By day she is Creative Director at the local television station, and by night she pecks away at her works in progress. Learn more about Brenda on her website www.brendamargriet.com. I am most certainly drawn to a book based on it's tale's location. I am no against any location but will more than likely choose a location with a "slow, middle of nowhere" theme before Urbana. Just as you write what you know, I like reading what I know. I really read across them all. Its a total mood thing, some times I want something like the JD Robb series where it is set in a urban setting, but then the next I read might take place in a small town and I will like it just as much. As long as it is a romantic suspense I am pretty happy. I agree, donnas. And I find I go through phases, where I read a whole swack of urban settings, and then I switch to small town novels. Of course, with some suspense stories, you get both, as the action travels all over!